I Love to You: Sketch of a Possible Felicity in History. Translated by Alison Martin. New York: Routledge, 1996. In 1989 Luce Irigaray shared a speaking platform with politician Renzo Imbeni at an Italian Communist Party meeting in Bologna. It was such a significant experience for her – of one man and one woman speaking together to create a forum for men and women to freely share sociality – that she dedicates this book to him and introduces her purposes by describing what was extraordinary about that event. 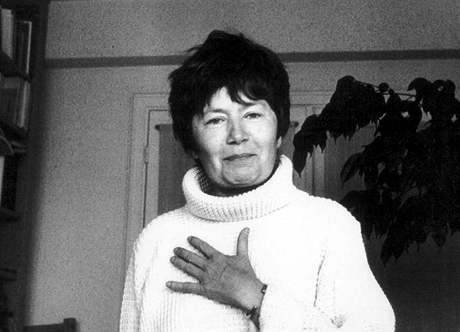 Prior to this Luce Irigaray worked on articulating gender as a way of articulating ‘différance’ – a particular preoccupation of late twentieth century, french philosophy, the term itself coined by Derrida. After the event with Renzo Imbeni she shifted her focus to communication between the genders, starting with this book, I love to You. In the last decade her interests have shifted again to feminine ways of knowing and being, integrating insights from her spiritual explorations, particularly in the yoga tradition, alongside her philosophical reflections. Like most of the French philosophers, Luce Irigaray is difficult to read, as much in her native French as well as in the English translations, I am led to believe by my French enabled colleagues. For those of you following the blog since last year, you’ll have noted that I post less often: that’s because this stuff takes time to digest and it is only when you have ‘lived with them’ for a while that you can really say anything sensible! Well, I lived and breathed Luce Irigaray for 6 weeks in preparation for a presentation at the annual conference of the UK Mystical Theology Network. My paper workshopped three Irigarayan strategies for reading mystical love language, of which I used an example from St Therese of Lisieux. The first two can be found in I love to you, the third is more substantially in later works. In I love to you Irigaray presents a fair chunk of linguistic research to back up her claim that women tend towards relational exchange in communication and men tends towards object relations. So, in recovering what she describes as a uniquely feminine way of speaking and reading, Luce Irigaray insists that we do not turn a text, an audience, an author, or ourselves as reader into an object. Subjects are responsive, fluid, complex and multidimensional. They are a living, dynamic, evolving thing. Like Simone DeBouvoire (though seemingly independent from), Irigaray insists that if there is only one perspective articulated in a text or speech, in a patriarchal context that perspective will be masculine. Hence, readers need to seek out the lost feminine by asking ‘what is not being said’. What life experience and knowledge is not being represented? It is clear at this point that Irigaray uses masculine and feminine as polemical opposites and there is little subtlety around these two poles pitched against one another. In a more general sense though, this is an excellent question: what perspectives are missing? I’ll say more about this in my next post, because Irigaray only briefly touches on this concept in I love to you. She argues that feminine subjectivity is essentially embodied, primarily through the breath. We we must take time to listen and acknowledge ‘space’ in the conversation because it is far from an empty pause. In summary, to speak in love is to speak as one whole person to other whole person or persons (plural), maintaining a constant openness to both person and knowledge. It means we resist the utilitarian pull to use others for what they can do or be for us, continually redirecting our attention away from what we know to what we don’t know and away from ourselves to the Other. It’s in this most general application of Irigaray’s work that I am comfortable. I think if we push the gender categories into a universal and mutually exclusive binary we lose too much. Irigaray is striving for a loving freedom in communication, a noble goal I am very happy to endorse. ‘I am listening to you not on the basis of what I know, I feel, I already am, nor in terms of what the world and language already are, thus in a formalistic manner, so to speak. I am listening to you rather as the revelation of a truth that has yet to manifest itself – yours and that of the world revealed through and by you. I give you a silence in which your future – and perhaps my own, but with you and not as you and without you – may emerge and lay its foundation. This is not a hostile or restrictive silence. It is openness that nothing or no one occupies, or preoccupies – no language, no world, no God. I can think of several reasons why it was good for a woman to read ‘daily meditations for men.’ I bought this book for a friend and had a (careful) speed read before wrapping it up – so glad I did! This book is for men who are prepared to take a moment to engage themselves. The questions are searching and the reflections sometimes surprising, gathered from Rohr’s work with, and writing about, male spirituality over many years, and gathered together in this format for daily meditations. I am thrilled to pass it on to my friend. authentic masculinity is the other side of feminine energy. It’s the complement, the balance, the counterpoint, the needed energy to create a lovely whole. Together these two energies are always new life and new beauty. Separate they are overstatement, imbalance, sterility, and boredom. Richard Rohr believes that there is a unique masculine spirituality which has been lost in western men. (David Tacey also writes about this brilliantly in relation to the Australian male – will post on his books eventually.) The masculinity we see in culture is over-cooked, from the shadow of the human personality, an ill-fitting suit of armor. Our culture does not encourage men to take the time for self-reflection nor does it offer enough diversity in the expressions of masculinity honored. If consumer media culture has created problems for women in regard to body image, our media has created problems for men in regard to ego and the inner life. So how does Rohr define masculinity? By the ‘feminine principle’ I mean everything vulnerable, interior, powerless, subtle, personal , intimate, and relational. By the ‘masculine principle’ I mean everything clear, rational, linear, ordered, in control, bounded, provable, and hard. I am aware of a discomfort in myself each time I read this quote. It’s a discomfort I am keen to befriend because it is a guide into further understanding of myself and the constraints of culturally constructed notions of sexuality. Its a post-it-note from my soul to explore further!